I’m excited to be playing with The Bridge at Oregon Ridge on Saturday, July 26th for the very first Believe In Music Festival. We’ll be sharing the stage with Thievery Corporation, Rodrigo Y Gabriella, Jimmy Cliff, Lake Street Dive and Boombox. You can get tickets here. 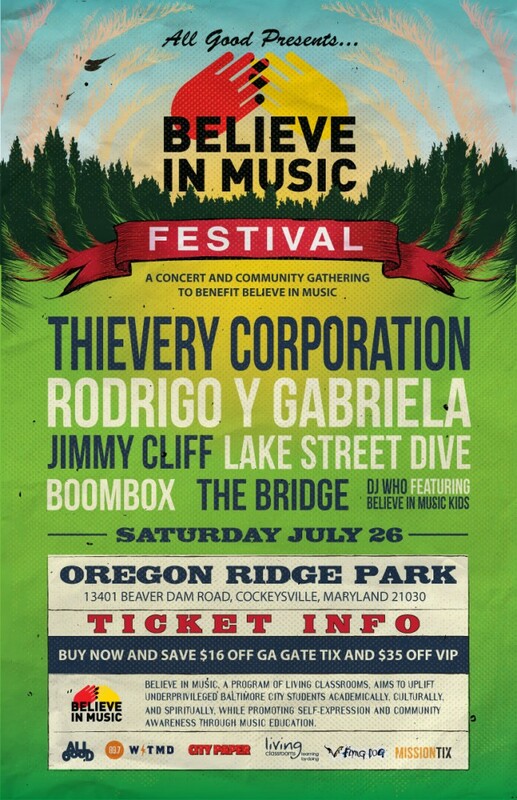 And you can find more info at the Believe In Music Festival’s Facebook Page.